This was one of those recipes that came together as a result of so many things. I wanted to change up the cheese and pasta kick I've been on for some time now that the first trimester seems to be just about behind me. It also arose from giving D the chance to choose the vegetables that went in it. 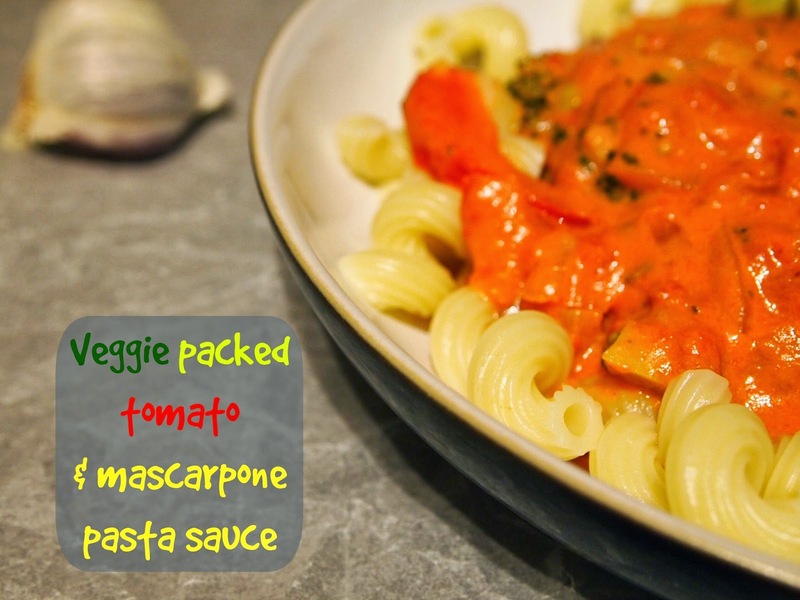 Oh, and a desire to make something that was a bit like the Dolmio creamy tomato pasta bake sauce but that was probably a bit better for me. D was emphatic about the fact that he wanted red pepper for this meal, broccoli came second, which is great as I LOVE broccoli and it's great for pregnancy. It's packed with calcium, folate and vitamin C. For a proportion of the first trimester, it was also the only vegetable I could face. This is also great because it's really quite quick to make, taking just as long as it does for the pasta to cook. Complicated meals that take time are just not on the menu at the moment. The red pepper seems like a strange addition to this but I promise that it works. It adds a slight bite and a sweetness to the dish at the same time. a tablespoon of basil, finely chopped - or a bit more if you use frozen. In a wok or large shallow pan, heat the olive oil. Gently fry the onion for seven minutes, until it begins to turn translucent. Add the garlic and fry for a further three minutes, stirring and watching for any sticking - you can add a little bit more oil or a splash of water if this starts happening. In a large pan, boil water for the pasta. Cook following pack instructions. Add the broccoli and pepper to the onion and garlic, heating through for five minutes to soften. Add the tinned tomatoes and tomato paste, stir to mix thoroughly. Simmer gently for ten-twelve minutes, until the vegetables are cooked through. The mixture will need an eye to make sure that it doesn't burn on to the pan. To the sauce pan, add the mascarpone and stir through, heating for a further minute. Stir through the basil. Serve. If you feel the need for more cheese, sprinkle a bit of parmesan over the top - although you really don't need it and this would stop it being vegetarian. A generous grinding of black pepper is a must for any Italian dish I find.